It does not matter whether you have frequent headaches, infrequent headaches or excruciating migraines, it probably goes without saying that you do not want them. It is also common for migraine sufferers to seek pain relief medications to help ease the symptoms. Although these medications may provide relief from the symptoms, they do nothing to treat the cause of your headache or migraine. Chiropractic care for migraines will help your body heal from the migraines and not simply mask the pain and discomfort you are having. A weed does not die if you only remove its leaves, the entire weed must be uprooted. The same type of process must occur within your body. Masking symptoms with medications, surgeries and other invasive therapies will not treat the actual cause of the migraines. Diseases and illnesses must be treated as a whole and not only the symptoms. This is one way chiropractic care for migraines stands out from conventional treatments. Over 90% of headaches diagnosed are classified as primary headaches. Stress, muscle tension, lack of exercise and other routine daily lifestyle tasks can cause a migraine or primary headache. 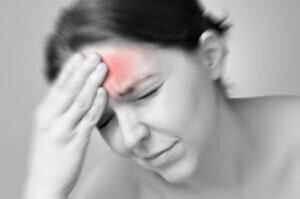 A secondary headache is caused by medical conditions such as infections, tumors or pressure on or around the brain. Chiropractic care differ from traditional medicine differ from traditional medicine in that chiropractors believe that the body is able to heal itself if given the opportunity to correct any imbalances that are caused by an internal source or an external source. Chiropractors also believe that there is a connection in spinal health, a balanced nervous system and overall health. Spinal adjustments in the neck area can not only relieve pain, but they can also improve function in the spine. Spinal adjustments are only prescribed after a complete review of the patient’s medical history and current lifestyle has been evaluated. You do not have to live with migraines, tension headaches or any other type of pain. Simple changes in your lifestyle and chiropractic care for migraines will help pave the way for a future free of headaches. Are you suffering with migraines or headaches? Please contact us to schedule an appointment today.